In a wide ranging 2016 survey, Madrid was voted the number one preferred destination for expats in Europe. An estimated 25,000 lucky Americans live there, enjoying its culture, architecture, world class restaurants, galleries and museums, not to mention its two champion soccer teams. Combined with first world infrastructure and public services, and it’s easy to see why so many American expats love living in Madrid. Unfortunately for Americans living in Madrid though, US expats in Madrid are required to file both US taxes as a US citizen, and Spanish taxes as a Spanish resident. Filing both tax returns needn’t be as complicated as many American expats living in Madrid at first think however. Most in fact end up not owing the IRS anything (although they do still have to file). All Spanish residents (defined as anyone who spends over 183 days a year in Spain) are required to file a Spanish return if they have more than one income source, or if their income isn’t from employment, or if their income is from employment and they earn over 22,000 Euros a year. Expats who are resident in Spain and who have assets outside Spain worth over 50,000 Euros also have to report their worldwide assets on form Modelo 720. Spanish Tax Day is June 25th, or June 30th if you don’t need to pay tax in installments. Returns should be filed with the Agencia Tributaria, the Spanish equivalent of the IRS. Spanish federal income tax rates are high, ranging from 19% to 45%. If expats living and working in Madrid pay more in Spanish income tax than the US tax they owe (which most will), it’s often most beneficial for them to claim the Foreign Tax Credit. The Foreign Tax Credit offers US expats a $1 tax credit for every US dollar equivalent of tax that they’ve paid abroad. For expats in Madrid paying more Spanish tax than they owe to the IRS, this means that they can claim more US tax credits than the US tax that they owe, eradicating their US tax liability while giving them excess US tax credits that may be applied in the future. Expats can claim the Foreign Tax Credit by filing form 1116 with their annual federal return. 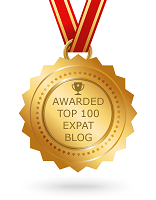 For any US expats earning under around $100,000 and paying less Spanish tax than the US tax due, the Foreign Earned Income Exclusion is often a better option. 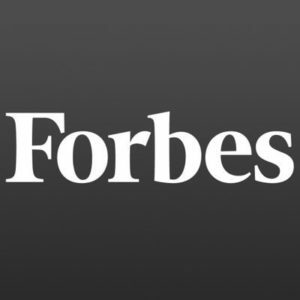 The Foreign Earned Income Exclusion lets expats who can prove that they are either permanent residents in Spain, or that they spent at least 330 days outside the US in the year, exclude the first around $100,000 of their income from US taxes. As well as filing a federal tax return, US expats in Madrid who have more than $10,000 in total in foreign bank or investment accounts (including any account that they have control or signatory authority over, even if it’s not in their name) at any time during the tax year are required to file an FBAR (Foreign Bank Account Report). Filing an FBAR means filing FinCEN form 114 online before October 15th. Expats living in Madrid with financial foreign assets (not including tangible physical assets such as property, or cars for example) worth over $200,000 at any time during the tax year are required to report them by filing FATCA (The Foreign Asset Tax Compliance Act) form 8938 with their federal return. 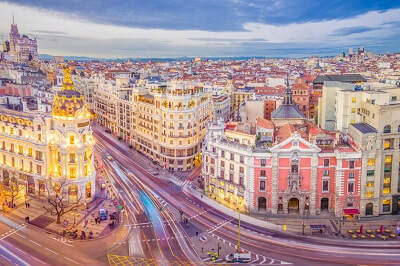 Expats who have been living in Madrid for a while but who didn’t know that they have to file US taxes can catch up with their US tax filing under an IRS amnesty program without facing any penalties. The Streamlined Procedure is a great opportunity for expats living in Madrid who are behind with their US tax filing to become compliant before the IRS comes to them.